Mukambi Plains Camp is set on a small palm tree island amid the wetlands. Access to the camp is via a narrow boardwalk about 100 meters long. Mukambi has four luxury safari tents with stunning views of lechwe grazing in the wetlands. The main bar and dining room is on a raised wooden deck. Mukambi is an owner-run camp with an authentic feel. Solar power is available, and equipment can be recharged at the boma (restaurant area). 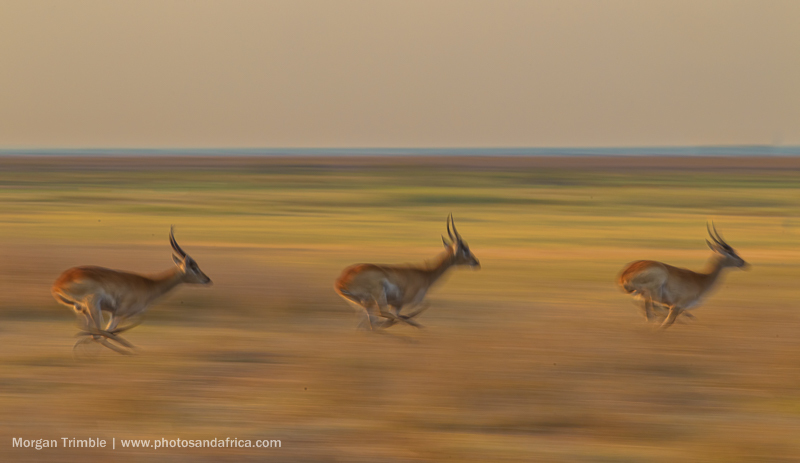 Busanga Plains,in northwestern Kafue National Park, is an area which is only accessible during the dry months. 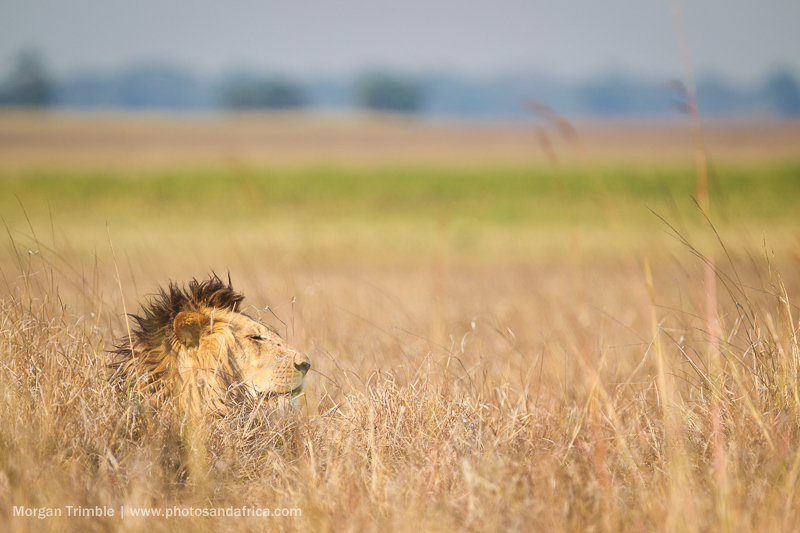 It’s the best game viewing area in Kafue with outstanding lion and lechwe sightings. Besides Mukambi, there are only two other lodges with access to the Plains. Kafue National Park, at 22 400 square kilometres, is the largest in Zambia and one of the biggest in Africa. Besides the flooded grasslands of Busanga Plains, it features vast miombo woodlands and high diversity—480 bird species and more than 150 mammals including many rare species. 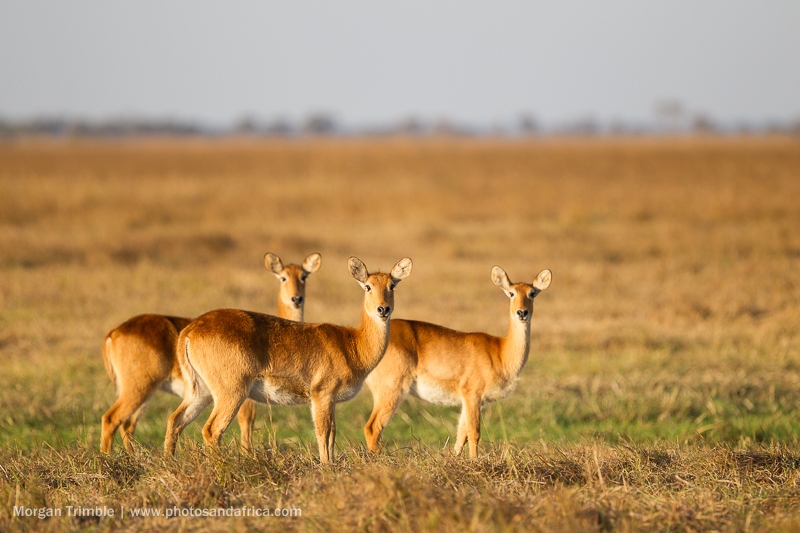 Kafue is known for its antelope diversity including Lichtenstein’s hartebeest, defassa waterbuck, roan, sable, and, if you’re very lucky, sitatunga. Birding is great too with lots of water birds in Busanga plus wattled crane, Bohm’s bee-eater, black-cheeked lovebirds, African finfoot, and half-collared kingfisher in the woodlands and grasslands. Mukambi is a seasonal camp open only during the dry season from July to October. During the wet season, the area is flooded from the Lafupa River and inaccessible. Contact Photos and Africa for more information and special rates for the camp. 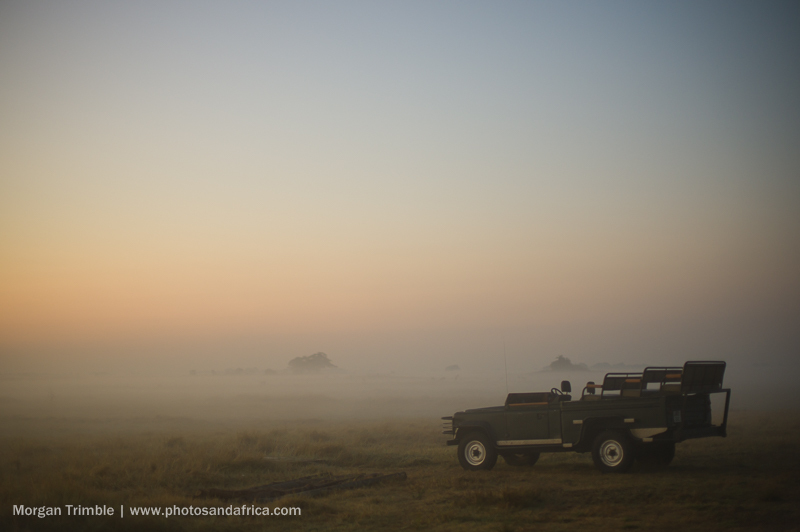 The best feature of the Busanga Plains region is its remote location and exceptional sunrises. 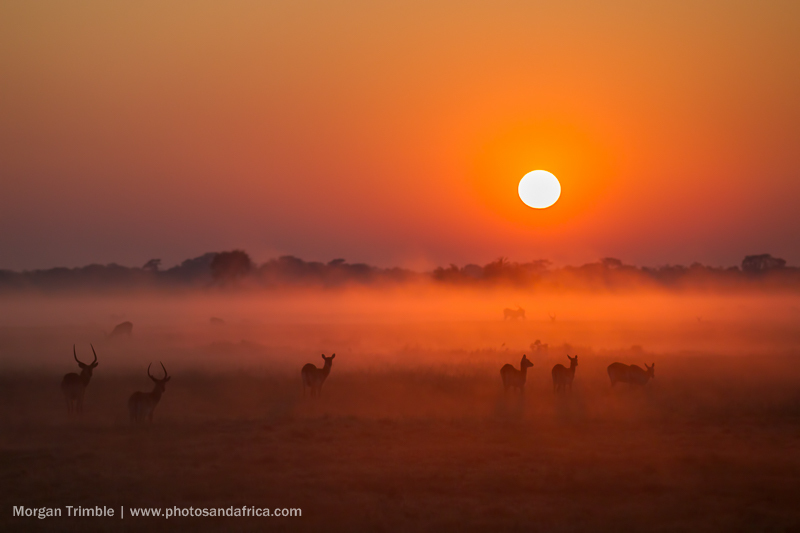 On cold winter mornings (July or early August), thick morning mists combine with the first light of the day to create incredible, atmospheric orange skies silhouetting wildlife herds of grazing lechwe, flocking ibises and hippos. 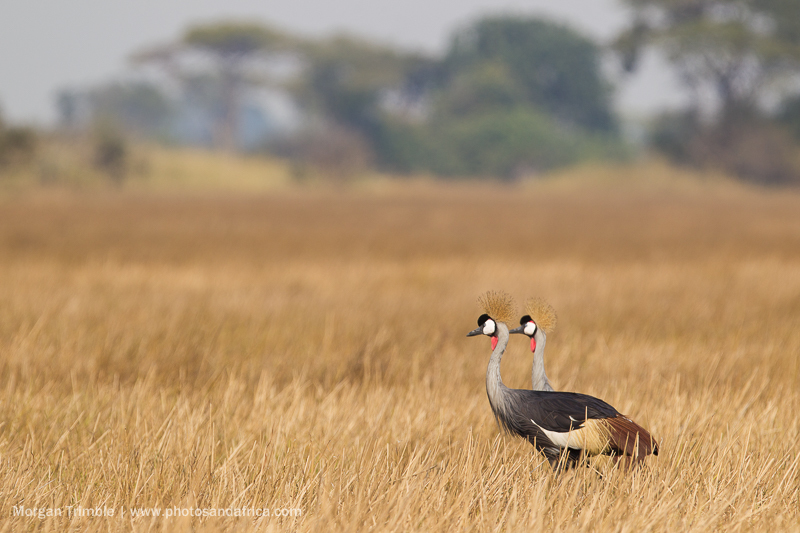 The nearby miombo woodlands can produce another suite of photo opportunities of different types of game and birds. Because it’s so remote, visitors need at least three nights to get the most out of a trip to Mukambi Plains.